On February 29th 2012 FSPDT was born with my first post Spray Bottles in the Bath! I started my blog for family and friends to share our play ideas and recipes. I had no clue what I was doing then and now 2 yrs later I still do not, lol. However, because of my love of sharing, in hopes to inspire fun playtime for other kids and to give moms 5 minute to get the dishes done, I keep blogging. 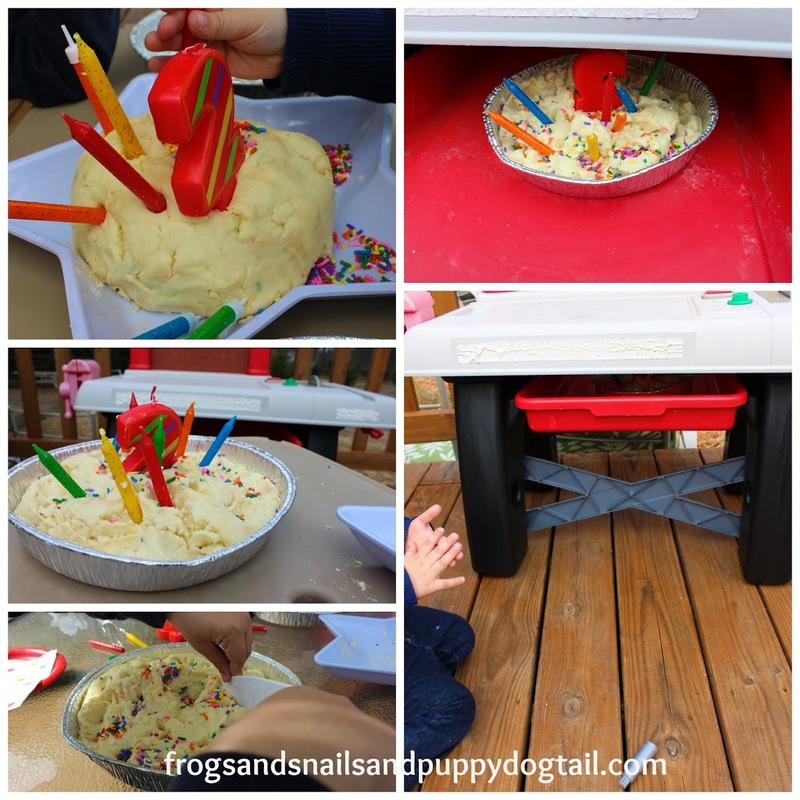 Even though we are a leap year baby we will celebrate today by sharing this fun sensory play recipe Birthday Cake Dough! 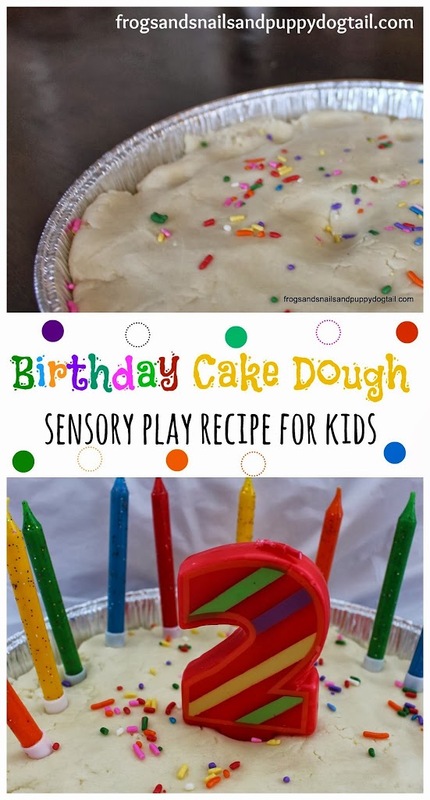 Birthday Cake Dough ~ sensory play recipe for kids is easy to make and fun for the kids. This is great for multiple aged kids. Mine are 1-5yr. Sensory play is the first way babies play. They touch the toys around them, they taste the toys, look at the toys, and often bang them together. We all learn through our senses- sight, taste, touch, and sound. 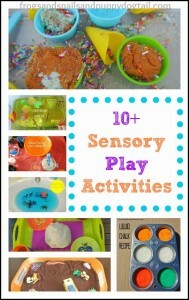 From baby up to older kids, adding a little extra fun to sensory play is an exciting bonus to everyday play. 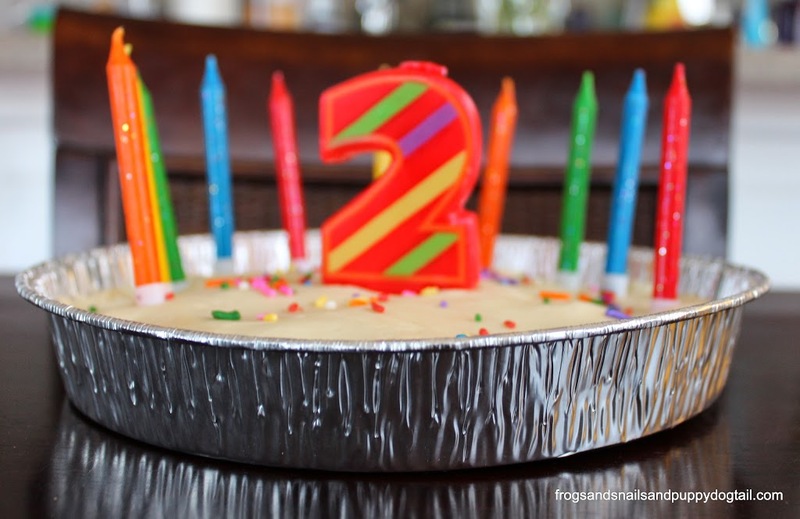 This birthday cake dough is just that. Our birthday Cake Dough is vanilla scented, and safe if baby tastes a little, but I WOULD NOT JUST EAT THIS BY THE HANDFULS. Even though it will not harm you it does not taste good. The smell is lovely though. Fine Motor Skills Practice is included in this play activity for the kids. 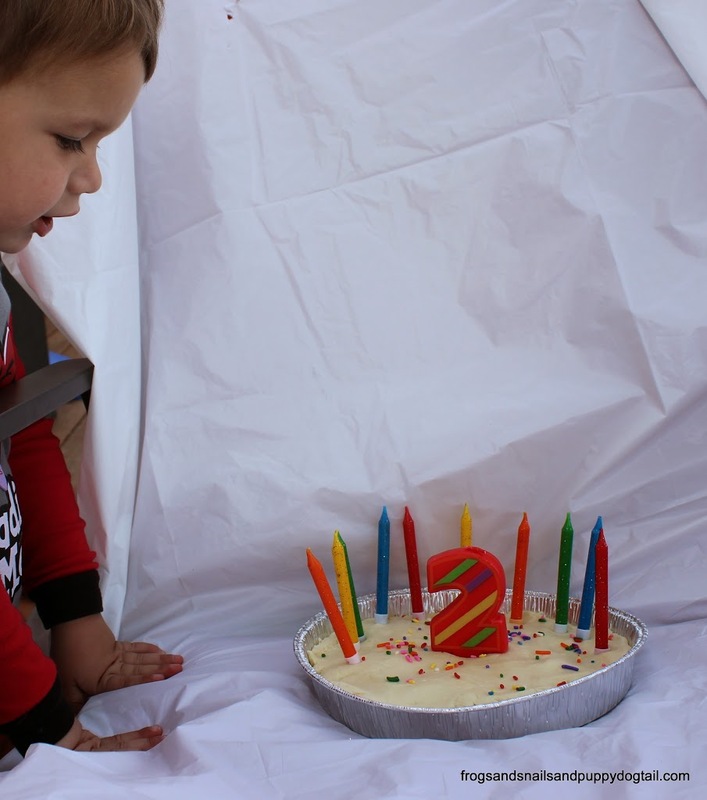 Simply adding the birthday candles to the cake helps work on those little hand muscles. My sweet boy singing Happy birthday to Jesus because every cake we make is for him. 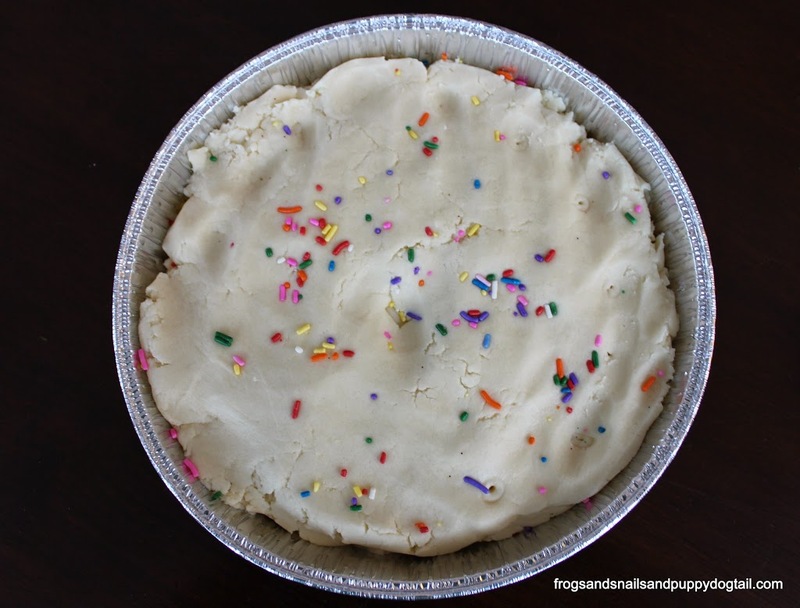 The sprinkles add a splash of color to the cake dough. This is a good time to go over colors with the younger kids. This is also great for pretend play. Letting the kids have their own birthday party how they see fit. Get their imaginations working. Once you hand over the dough it becomes an open ended play invitation for them. They take over and control the activity. 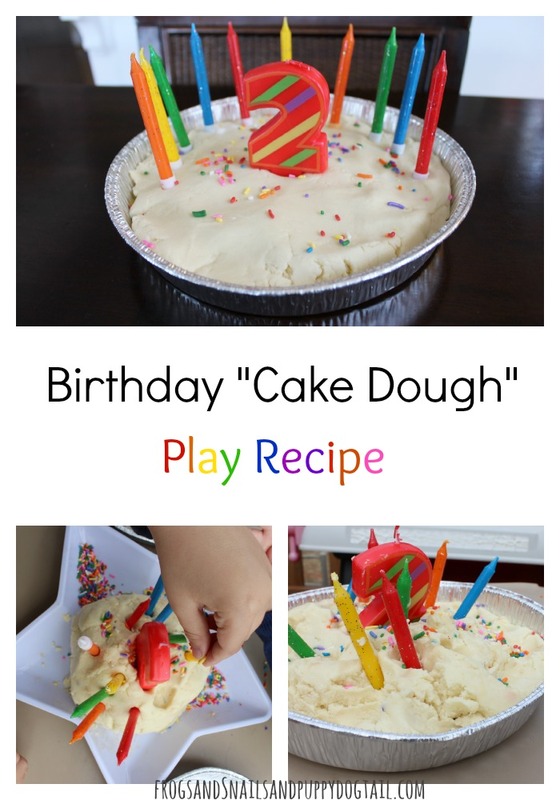 Wow, what great ways to foster learning through play with this simple play recipe and activity. I just adapted our Ice Cream Dough Recipe a tiny bit. 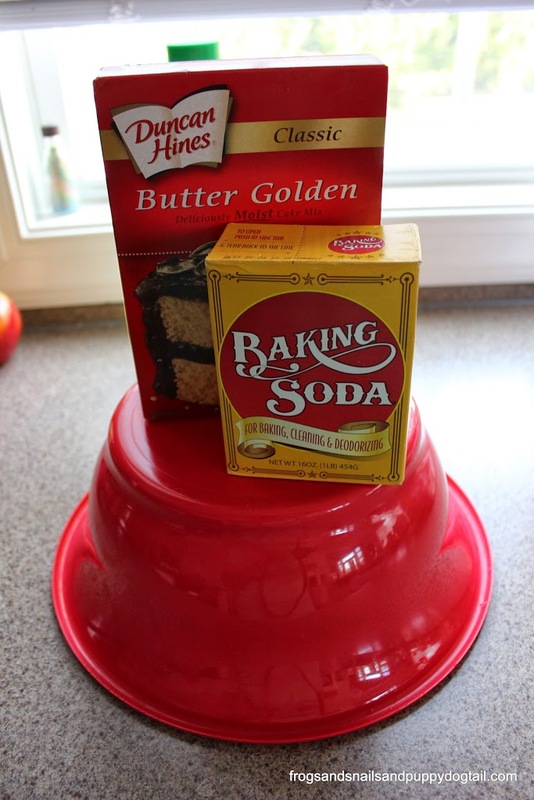 I took 1 box of vanilla cake mix, 1 box of baking soda, a little vanilla extract, and 1 cup cooking oil and mixed well. Easy peasy play recipe! I hope this can inspire some playtime fun with your kids and help you get your dishes or laundry done too. How did you store this, and how long did it last? Just curious, as I may try to make this for a preschool class. Trying to figure out how long we can keep it around. Wonderful idea!! What fun! 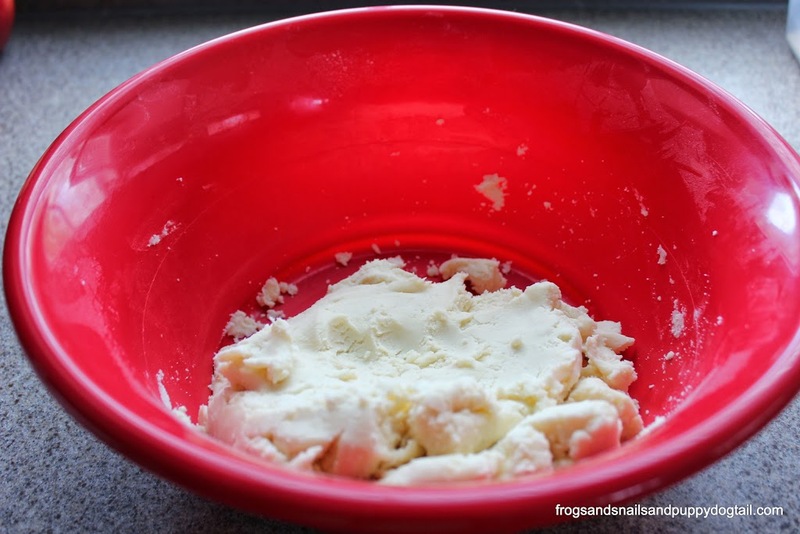 For my daughter’s 8th birthday, we made birthday cake scented play dough by adding vanilla to our regular play dough recipe.